What is a Motor Vehicle Dealer (Used Dealer) Bond in Arizona? A Motor Vehicle Dealer (Used Dealer) Bond is a type of license bond. The purpose of the bond is to protect the state or governmental entity for certain things, such as the payment of taxes. How Much does a Motor Vehicle Dealer (Used Dealer) Bond Cost in Arizona? How do I get a Motor Vehicle Dealer (Used Dealer) Bond? We make it easy to get a Motor Vehicle Dealer (Used Dealer) Bond in Arizona. Fill out the form above and we’ll get right on this for you. Then we’ll get the Motor Vehicle Dealer (Used Dealer) Bond right out to you. Easy. License bonds and permit bonds are necessities required by a government body. License bonds and permit bonds are the government’s way of ascertaining that all corporations approved to function within their area comply with the governing rules in operating any type of business. Therefore, it’s necessary for any company or professional to get these bonds before beginning their functions. The government can have assurance that all laws and regulations set in regards to that specific occupation will be followed. These bonds also make it simpler for the government to determine any professional or business who failed to comply with the governing rules. This is why it’s essential for any business or professional to get these bonds. If you’d like information about how to get a permit bond, this article is here to help explain some important details of license and permit bonds. There are different bonds, but their usage varies depending on your type of business or operation. 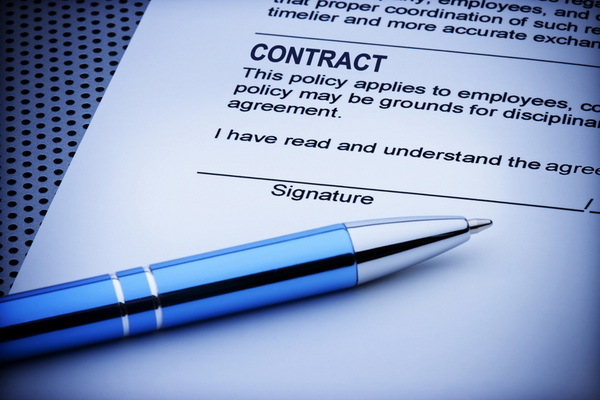 Two of the most typical types of surety bonds that your company might need are discussed below. The license and permit surety bond is the most typical kind of surety bond. But, before you get this bond, you have to understand first the local laws and regulations that cover the engagement of professional services in Kansas, as one example. Keep in mind that you’ll only be given a license to function in a particular location if your business is proven legal and compliant with the existing laws of the government. you have to also remember that your customers might be the eyes of the government when you begin your company processes. If you fail to comply with the governing rules, the customer is also given the right to sue your bond. You’ll then face the law, while your customer is paid out due to your non-compliance. Several types of bonds are under this specific type of bond. For instance, you’ll enjoy contractor license bond under this type of bond. Another kind of surety bonds is the performance bond. A performance bond is a great type of insurance for the client that chooses to hire an expert for a specific task, for example, construction. This insures the quality of the project because the contractor is required to meet all the requirements of the project stated in the contract. These requirements should be followed if the contractor does not wish to get into serious trouble with the government, which may result in confiscating their license after they failed to comply. The bond is therefore an insurance to the customer that the contractor won’t fail to supply results. Due to the contractor’s non-compliant, the consumer will also get a replacement contractor. License bonds hold wonderful importance to all the consumers. The government uses the bonds to control how professionals run their business and protect the clientele as well. One advantage of using bonds is the assurance of obtaining a systematic flow of work in operating organizations. In order to ensure that their business functions is reputable, all business experts are required to follow the set of rules given by the government. If not, the consumer has the right to sue the bond to be able to get the settlement they deserve due to the contractors’ irresponsibility. The consumer will get insurance that totals up to the bond available should a professional fail to meet all the requirements of the customer. The contractors are, consequently, locked to the insurance of the bonds and are mandated by the law to deliver no matter what. The government, or certain government bodies, will provide restrictions to different aspects of companies and other services. For example, the government can limit a construction of houses with more than two floors. Consequently, permit bonds will ensure that an expert restricts his or her services to the government’s restrictions. Obtaining license and permit bond is simple if you stick to the right measures. Listed below are the easy steps involved in the application for license and permit bond. If you are applying online, the first thing you need to do is to fill out the form. You can find this online application form through an authorized issuing company that’s highly recommended by lots of users. This signifies that you must not only choose a platform that has the application form, but also make sure that it has verification. Aside from correctness and completeness, you also need to make sure the truthfulness of the info you put in the form. After you have submitted the application form, you are going to then get a quote stating the amount linked to the surety bond you are applying. Therefore, the amount you should pay money for the bond is already offered in the quote. Take note. It’s only after the application form has been successfully submitted that you will be able to get a quote. You will need to then pay for the license and permit bond. You could only obtain a license and permit bond after you have paid the issuing company. Do not lie in the form. It is because the government may be able to discover out that you misrepresented the information, leading to legal action. Remember that the government is skeptic when it comes to legal documents. Also, you’ll need to offer financial info connected to the bond, which makes it difficult for you to fake it. The rates of bonds may vary with regards to the type of bond that you have to acquire. Even so, you are going to only be asked to pay particular amount with respect to the insured portion of the entire project cost. Instead, you will pay 1% of the whole bond’s worth. In case of non-compliance to provide what they need, the bond enables your consumer to file a case against you. As a result, the government requires that you provide a sort of insurance for your clients by paying for a bond. You should be careful not to obtain bonds from unverified government bodies. An ideal way not to make a mistake is by educating yourself with the different types of bonds through professional help. See our Arizona Motor Vehicle Dealer (Wholesale Auto Auction Dealer) Bond page here.